We should never underestimate the power of a toilet, as this is one of the most important items in our life. So, we say it’s a high time to invest in a good quality toilet. Are you with us? If yes, then we have a question for you – how one can know which toilet is a good one? With our help, obviously. Everyone has heard of KOHLER because their bath products offer quality no matter the price. Ready to find that best toilet? Then keep reading. 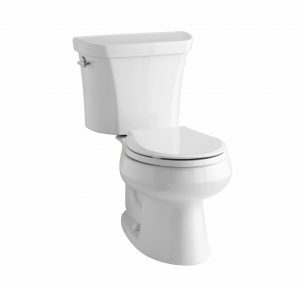 In this article, we bring you everything you should know about Kohler and their toilets so that you can make an educated decision when buying a toilet. Thank us later, now you have an article to read and a toilet to buy. 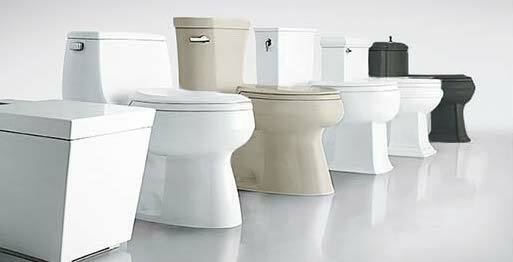 Even though there are many Kohler toilets, we chose these five models as they really have much to offer. So, without further ado, let’s see why these models are great. 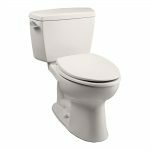 Santa Rosa is a modern looking toilet that comes with an elongated bowl, standard lever, single-flush technology, and AquaPiston canister. This toilet is just the thing you need if you're after the style and practicality. With a 1.28 GPF, this unit contributes to saving the water and is ideal for those who take care of the environment. In addition, the single-flush system and AquaPiston canister work together to give you a clean bowl. Speaking of the bowl, it is elongated, making it a bit more stylish than its rounded counterpart. Plus, the elongated bowl takes the same space as a round-front bowl. What we love about this unit is that it doesn’t sacrifice the look for the functionality. Quite the opposite, this toilet brings a modern touch to the bathroom, whichever color you opt for. 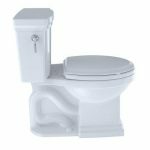 Santa Rosa toilet comes in an array of colors to choose from, giving the chance to everyone to pick their favorite and complement the look of their bathroom. Unlike some of our other options, this one is one piece. So, not only this model is easier to install, but is also easier to clean. With all this being said, Santa Rosa is our favorite Kohler toilet. It offers everything a good toilet should, and as such is worth every penny. Simply put, you can’t go wrong with this toilet. Our second model is a good choice for those wanting to save water. Here we have a 1.28 GPF toilet that saves up to 16, 500 gallons of water each year. Now, that’s what we call an efficient toilet. But, you don’t have to worry whether the toilet’s performance will be decreased, due to the lower GPF. 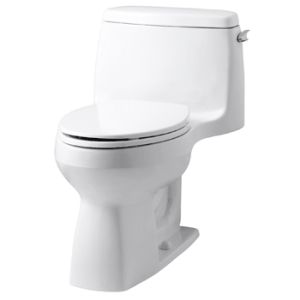 In fact, the toilet features the AquaPiston Technology, a flush engine that makes easy work of flushing. In addition, there is an elongated bowl that gives more comfort and space, so you’ll love sitting on this toilet. What’s more, there is a comfort height feature that offers chair-height seating. Thanks to that, tall people won’t have any problems with sitting down and standing up. But, even though the “comfort height” feature is great for tall people, unfortunately, if you happen to be one of those “not so tall” people, you might want to look for another Kohler model, because sitting on this one will probably be uncomfortable for you. Memoirs toilet is a great combination of traditional style and modern technology. While its rounded bowl is perfect for powder rooms and small baths, a right-hand trip lever is great for flushing the water. The AquaPiston canister ensures the water flows into the bowl from each side, leaving the bowl much cleaner. More importantly, the canister is sturdy and durable, so you don’t have to worry about leaking. What we really love about this toilet is the traditional and elegant look, thanks to many details. Without a doubt, you’ll appreciate the extraordinary look of this toilet. You can choose between Almond and Biscuit, adding a lovely touch to your bathroom. 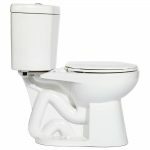 Since this toilet is two piece, the installation is a whole lot easier, so you can install it on your own. Like the first model, this one also comes with a comfort height feature and 1.28 GPF, offering more comfort and saving feature. As for the downside, this toilet is a bit noisy, due to its flushing mechanism, so bear that in mind. Also, the unit is expensive, but it is definitely worth it. 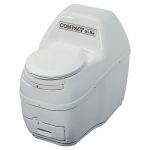 Investing in this high-quality toilet will be a sound decision, so rest assured that this unit is a good choice. Wellworth could be the best toilet you’ve ever had, so why not get it? 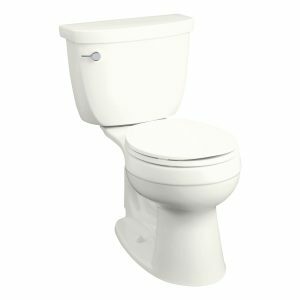 This toilet is quiet, efficient, and matches with other products from the Wellworth collection. So, if you want to make your bathroom gorgeous, stunning, and functional, this is the way to go. 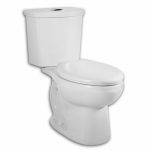 What makes this toilet stand out from the crowd is a dual flush toilet system. Namely, you can choose between 1.1 and 1.6 GPF. This feature makes it a great eco-friendly toilet. The toilet is well built and as such will last for years. Moreover, a Left-hand trip lever is sturdy and easy to use, so you don’t have to worry whether it will get stuck. This toilet has a two-piece design and comes with a round bowl, making it easy to install in a small bathroom. With its contemporary look and four colors to choose from, Wellworth toilet is definitely worth your attention and your money. Add to that a silly price of this unit, and you can see why it is one of the best models on the market. Instead of asking yourself why you should buy it, ask yourself Why not. And our last product is for those who love minimalism and high-quality performance and aren’t afraid to pay for it. Without a doubt, the Veil Intelligent is an outstanding toilet. A tankless design, dual flush system, elongated bowl, self-cleaning function, warm-air drying system, a motion-activated opening/closing system, LED lighting, touchscreen LCD remote control, and emergency flush feature, and a high price tag make this unit hard to beat. This unit is designed to work silently, and efficiently, giving you a one-of-a-kind experience. While stainless steel wand offers adjustable water pressure, temperature, and position, the heated seat gives you comfort and convenience. Add to that a warm-drying system and you’ll see why it’s so easy to fall in love with this toilet. The Quiet-Close lid won’t make any noise when closing, and you won’t have to use hands in order to open the cover (thanks to a motion-activated opening and closing system). Moreover, there is a LED lighting that will be your guide at nights. This is especially useful if you have kids, as they will quickly find the toilet. 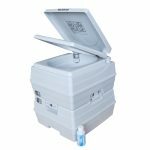 With a tankless design, this unit offers direct water supply. That makes the unit a breeze to install. 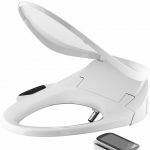 With an LCD remote control, using the toilet is fun and easy. To sum up, if you're looking for a high-end model that will impress you, this is the one for you. Founded in 1873, Kohler Company has quite a long history of doing business. As such, it is not surprising that this company delivers top-notch products. Over the years, they make improvements and made new products, to suit their customers' needs. And they succeeded. What Makes Kohler Products so Special? It’s their policy. Namely, this company is committed to enhancing customers’ sense of gracious living by delivering high quality and stylish products. Kohler believes that "generous living" is based on good taste, charm, and generosity, which is why they give their best when producing every product. Apart from that, here are some more reasons of why this company is one of the best in the world. Firstly, their products are a great deal for the money. If you want to buy an affordable toilet or a pricey one, one is for sure – you'll be satisfied with the quality. That's what means when a company sticks to their values and policy. Secondly, they offer different models of toilets, so everyone can find the one that best suits their needs and means. 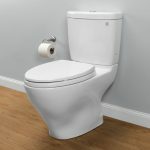 There are toilets with an elongated or round bowl, one-piece or two-piece toilets, those with the dual flush system, those with 1.28 GPF, and much more. 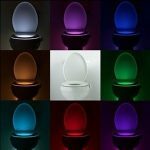 Add to that a plethora of colors to choose from and you can easily choose the toilet that matches your bathroom. From white to biscuit, to black, to ice gray, Kohler has got your style covered. It seems that they thought of everything huh? Well, they’re professionals, so we cannot expect less than that. Undeniably, no product is faultless, and it’s completely normal to find a minor issue with Kohler’s products. When that happens, it’s important that you know where to turn for the help. It’s safe to say that Kohler customer service is always ready to help. Not only the staff is knowledgeable, but they are also polite and friendly, so working with them will be a pleasure (and more importantly, they will solve your problem). Next, Kohler offers 21 models faucets that comply with Americans with Disabilities Act (ADA), which is very generous of them. The faucets come with special features such as special handles, levers or touchless designs. Thanks to that, these faucets are easy and simple to use. Finally, toilets are easy to install, especially if you’re handy. But, if you’d rather not take chances then you should call a plumber and let him do the installation. Sure, you’ll spend more money that way, but in the end, your toilet will be safe and secure. Naturally, every product has its downsides, and the same goes for Kohler toilets. 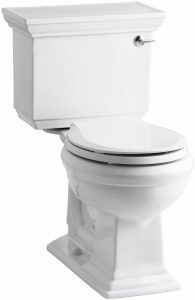 With most Kohler’s toilets, there are two common problems – the level of noise and a bowl that needs to be cleaned often. Most toilets, especially those that use only 1.28 gallons of water per flush are noisy. Now, this is not such a big issue to most people, but it does bother some of us. So, keep this in mind if you don’t like the noise. Another issue is that a Kohler's bowl seems to get dirty faster. Clearly, this means that you'll have to clean the toilet more often, which some people don't find very amusing. 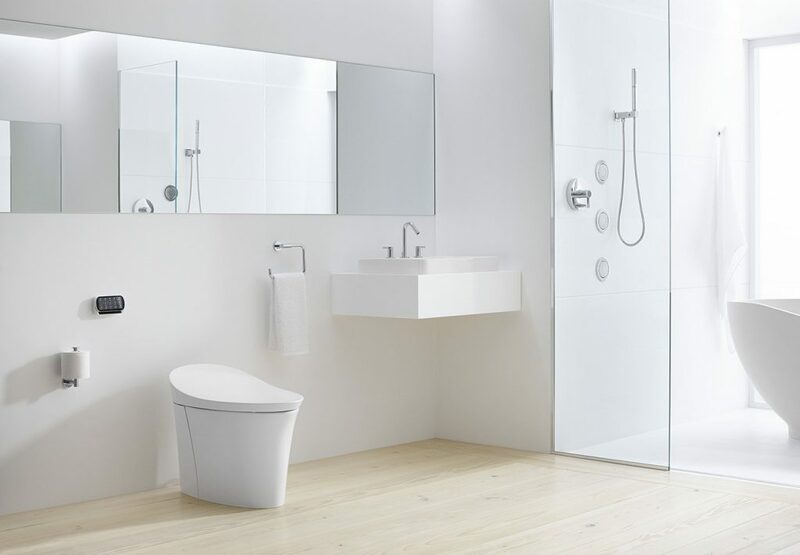 Other than that, Kohler toilets have lots to offer and present the perfect combination of functionality and style. Speaking of that, are you ready to read about best models? Below, we'll write about five best Kohler toilets, so that you can flush your doubts away and find the toilet of your dreams. Small things in life bring happiness, right? With that in mind, you need to choose a good toilet and feel the difference. Hopefully, our list will help you with that. Coming from Kohler, all these products offer a good value for the money. However, our favorite is the Santa Rosa toilet. 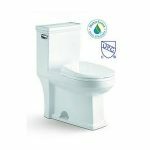 With a water saving feature, modern look, and comfort, this toilet is a great value for the money. So, if you want to enjoy every second on your toilet, without paying a fortune, this is the way to go. A good toilet equals convenience and happiness, so why not go for that?